Seluxit has just sponsored the Google I/O Extended event our home city of Aalborg, Denmark. At the event, and by popular demand, we’ve brought back our Love Potions Maker demonstrator, first shown at the Mobile World Congress in Barcelona earlier this year. “I need this in my house” was a response we heard more than once. Stay tuned, we’ll publish the recipe and open source code on our github repository (github.com/seluxit) and you can recreate using our the Q IoT AppStore - totally free for basic operation. What is a Love Potion Maker? 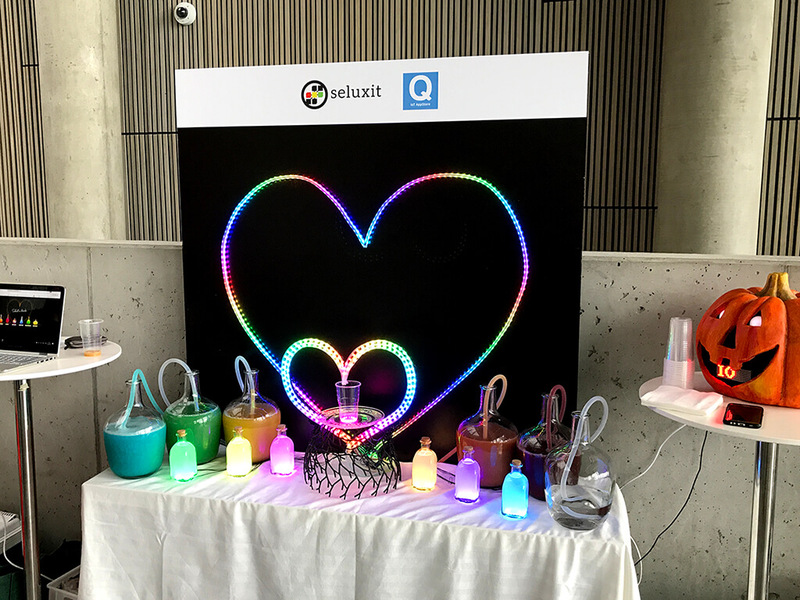 With the Love Potion Maker we’ve illustrated how a DIY project with diverse internet enabled devices can be coordinated, and how multiple apps can be created and shared using our exciting new initiative, the Q IoT AppStore.